Gerai Seong Kee @ PJ Old Town, PJ | where and what to eat lah? 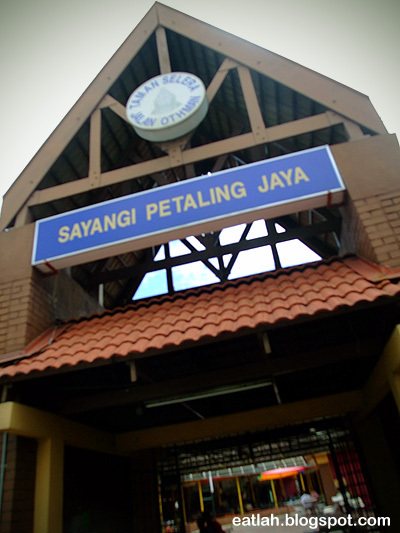 PJ Old Town is one of the earliest and oldest township in Petaling Jaya. Close to embarking upon a 30 years history, the food court located in the heart of PJ Old Town has stood the test of time and are still considered one of the best authentic hawker foods around. 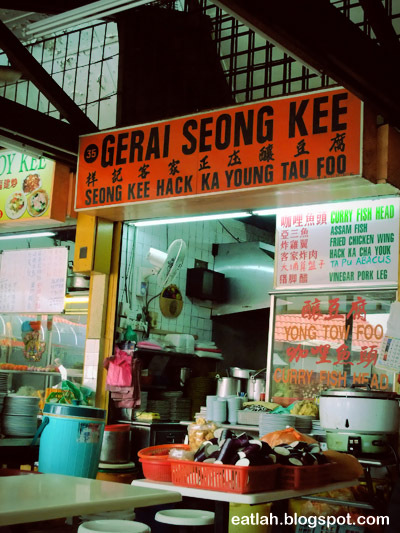 One of it, Gerai Seong Kee No.35, well known for their authentic Hakka specialties such as the Hakka yong tau foo, curry fish head, assam fish, Hakka cha yuk (stew fried pork), pork leg in sweet vinegar and Hakka abacus beads. Hakka yong tau foo (RM 1/piece! 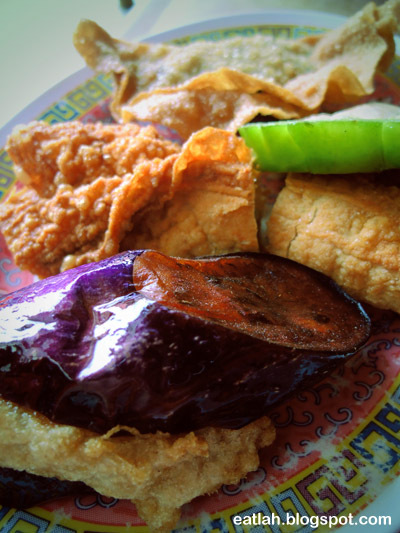 ), to maintain its freshness, most of the yong tau foo are made on the spot upon ordering. Just like any other good and famous yong tau foo, you can taste the fresh springy fish paste used. 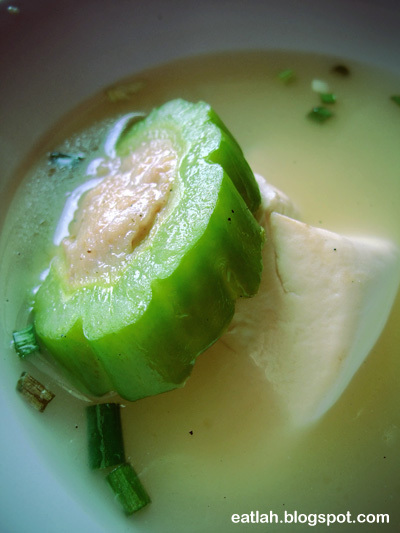 For the non deep fried yong liew (stuffed fish paste), it'll be served in a tasty clear soup and garnished with chopped scallion. 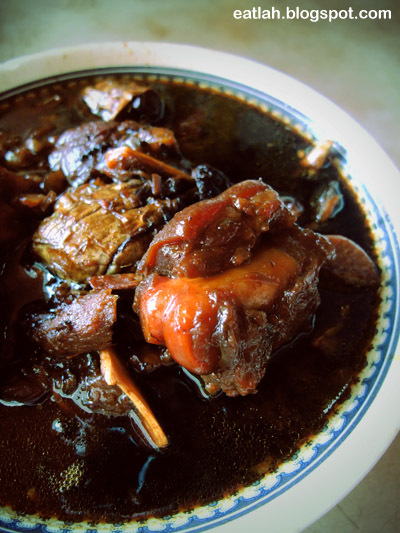 Pork trotter in sweet vinegar (RM 12), cooked in sweet black vinegar and ginger, with a sweeter side and a hint of sourish spicy from the vinegar and ginger. It was perfect with rice, just the way I like it, the gravy was very strong in taste! However, the meat was bony and way too fat for me, hardly get any decent tender meat out from it. 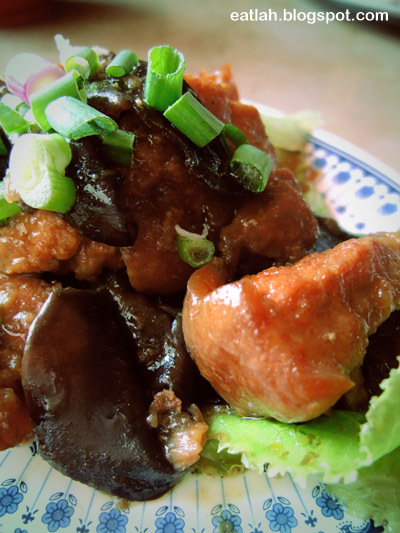 Hakka cha yuk (RM 9), a typical Hakka dish with cubes of fried fatty pork belly stewed in Hakka nam yue (fermented red bean) sauce and crunchy black fungus. Too fattening for me, this dish just screams "heart attack"! 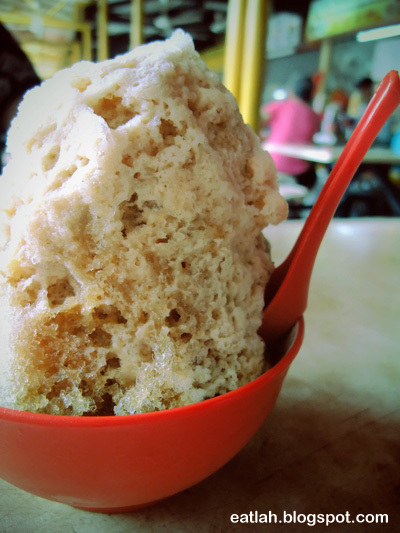 Authentic ais kacang (RM 2) from a stall nearby to Seong Kee, perfect to beat the heat under a sweltering hot day lunch. Unlike the modern fancy colorful diabetic ais kacang (yuck! ), this ais kacang was only coated with simple brown sugar and coconut milk which give a pleasant sweetness to the smooth ice shavings. Underneath the ice mountain, you'll find generous serving of fragrant fried peanuts (not the instant salted packed type), cincau (black grass jelly), cendol, sweetened red beans, corn and atap chee (atap seed) - oops! too good till I've actually forgotten to snap a picture of what's inside and it reminded me on how ais kacang really tasted long before. Verdict: Seong Kee's food taste is authentically decent but personally, I do too find it authentically expensive for hawker food standard. Business Hours: Opens daily from 12pm - 9pm. Close on Tuesdays. Nice..Very special for u.. Don’t Miss it!